Prince George baby photos: Royal palace warns paparazzi to cut out "harassment" campaign. 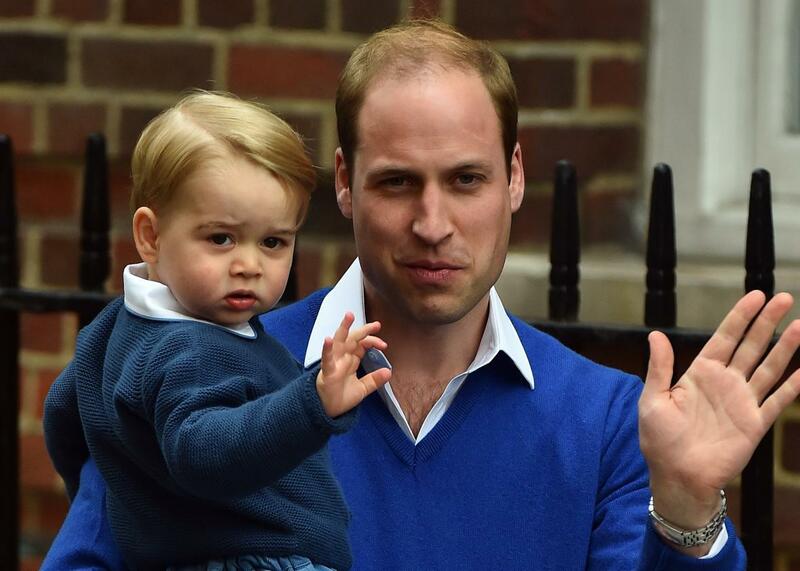 Britain’s Prince William, carrying his son Prince George and waving to the media after Princess Charlotte’s birth. England’s royal palace has issued a warning to paparazzi to back off from what it describes essentially as a stalking campaign of 2-year-old Prince George in a letter to international media that was made public Friday. Knauf described several of the methods being used, including photographers hiding in sand dunes on a rural beach to snap photos of George and his grandmother, one snapping George’s play area from the trunk of a car after having covered the inside with sheets to conceal it, and the use of other children as bait for George at playgrounds. He seemed to warn that such tactics might lead to photographers being mistaken for greater security threats. The letter also compared the surveillance to past, more extreme incidents without specifying what those were. “It is of course upsetting that such tactics—reminiscent as they are of past surveillance by groups intent on doing more than capturing images—are being deployed to profit from the image of a two-year old boy,” the royal notice read. George’s grandmother, Princess Diana, was famously killed in 1997 when her drunk chauffeur crashed their car while fleeing chasing paparazzi. The cable expressed gratitude to British media, “reputable publications throughout the Commonwealth,” and most American media for using official photography of George and his younger sister, Princess Charlotte.